If your woodwork requires fancy edges cutout and more, the Dewalt DWP611PK is the right router for you. Not only has it successfully combined power with ease of use, it also has ergonomic features with advance design for visibility, great control and overall great performance that’s never seen before in a router. 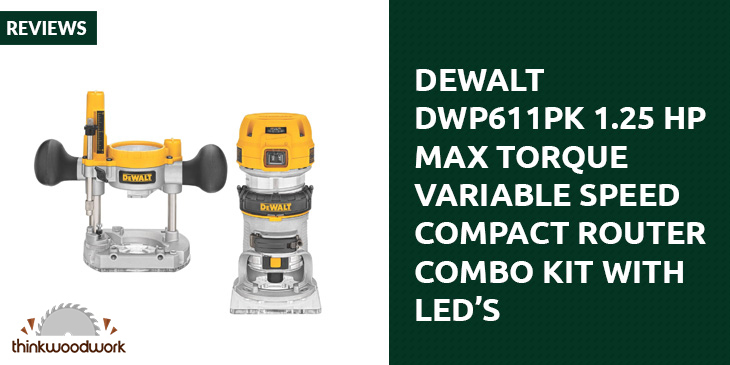 This and a whole lot more is what the DEWALT DWP611PK compact router can handle. It can work diverse applications that would surprise you, from the small bevel cuts to something larger like heavy flush trimming and large edge profiles. You can get this with a fixed based but to be multi functional, you can also get this with both fixed and plunge bases. 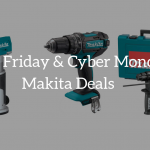 When power as well as performance is important to you, then this power tool is the answer to your needs. You want to get your work done, done well and done in less time. 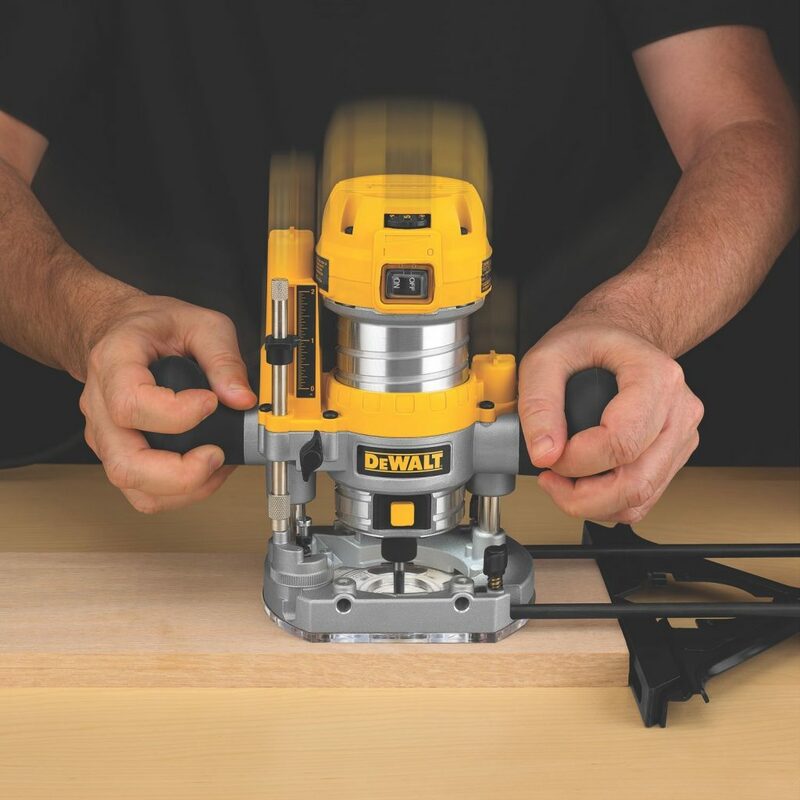 DEWALT DWP611 router allows you to be as efficient and productive as you want. You get things done right and in an efficient manner. You have power and performance all rolled into one with this model machine unlike others. The variable speed permits you to control the power tool efficiently by managing the speed of the machine accurately based on the application at hand. You have absolute control on the speed and machine which you can adjust depending on the application currently being used. Control though is not just about the speed of your machine. You also get the best control of this power tool when you have a low and very contoured grip which is near the work surface. With this grip on the machine, you can have wonderful control which enable you to do precise work and have great productivity. Having this tool handy allows you an excellent and amazing level of control which can only result in positive output for you. Added features such as soft starting motor will provide you with a very much convenient full time electronic feedback which in turn will make you maintain the speed of the motor all throughout the cut. 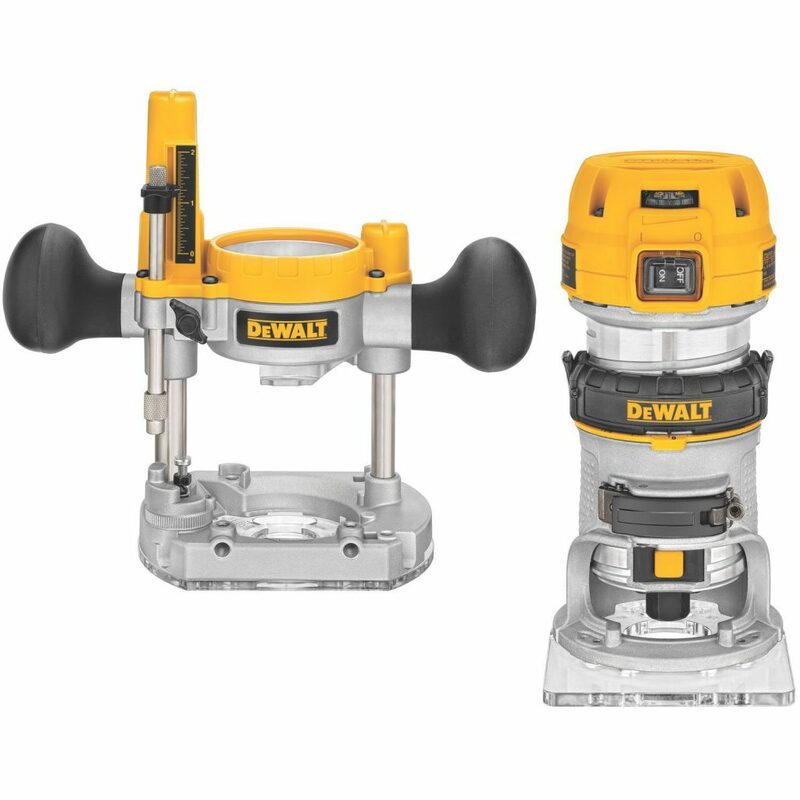 DEWALT compact router guarantees maximum visibility with its dual LED’s plus clear sub-base on a fixed base, now if that is not a great added feature then I don’t know what else it can be called. 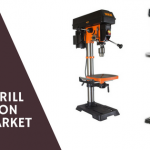 It has an extended ¼ inch router collet which additionally allows better bit contact with the bit shaft compared to other router tools. Having this better bit contact results to a firmer grip and you will experience less vibration. You also experience stability and flatness when you are running edge profiles due to the D-shape sub base. The ease in controlling the bit change has seen vast improvement because of the way the spindle lock has been designed. A pretty large button has been included with the spindle lock, which can be actuated using just the same hand that also stabilizes the router.